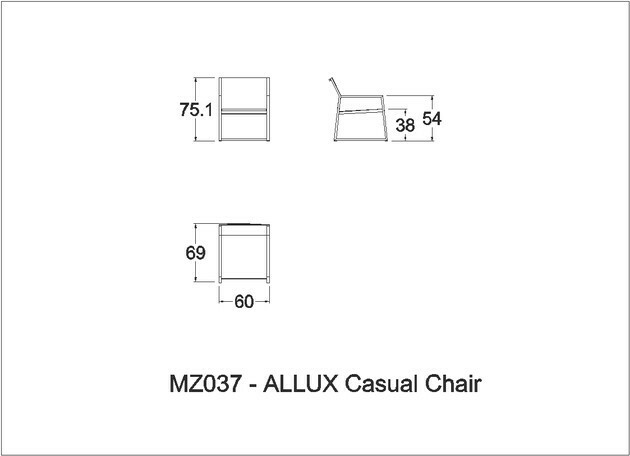 Enjoy this contemporary Allux Casual chair. The angular forms and a bold frame featuring trapeze shape legs makes this a true statement piece. Lightweight and highly weather resistant powder coated aluminium from Interpon, ensures a near scratch proof surface, protection to errosion and UV light. Comfort and endurance is enhanced with premium batyline textile, UV and mould resistant.